Each day, more and more people are earning a living through online marketplaces. They’re shifting away from the traditional payroll scheme and earning their income one gig or one sale at a time. Whether an Uber driver or an Instagram influencer, their income is reliant upon a platform’s ability to pay out for their work. It’s been reported that the number one concern for sellers and providers in a marketplace is payouts speed. Since many of these people rely on a fluctuating income to pay off expenses, the guess and check work of getting paid every two weeks—as offered by traditional employers—doesn’t cut it. Since their payments aren’t necessarily consistent, they can’t always afford to wait two weeks to see if they can afford rent for the next month. As a marketplace, it will serve you well to think about payout frequency and speed as early on as possible. Not only will it delight your users, but it will help you stay more competitive in an industry that gets a little more crowded every day. 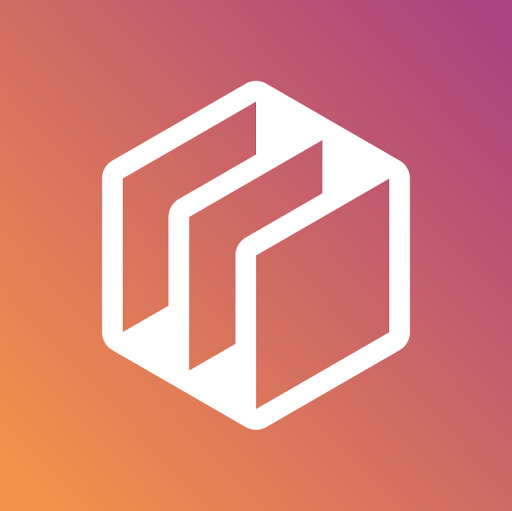 There are no one-size-fits-all payments scheme for marketplaces, however, there are some things you can do to meet your users halfway. As was mentioned above, one of the most common concerns for sellers or providers on a marketplace is speed of payment. In a perfect world, your users would get paid into their bank account the moment they deliver their service. However, this generally isn’t realistic, you need to have some delay in place to ensure quality control, etc. What is realistic is offering next day or same day payouts on the payroll date to improve speeds. One of the most common ways to deliver payouts to providers in a marketplace is using the ACH network. This way, payments are routed directly to a provider’s bank account. The problem with ACH is that it has traditionally been associated with slow delays in transfer times. 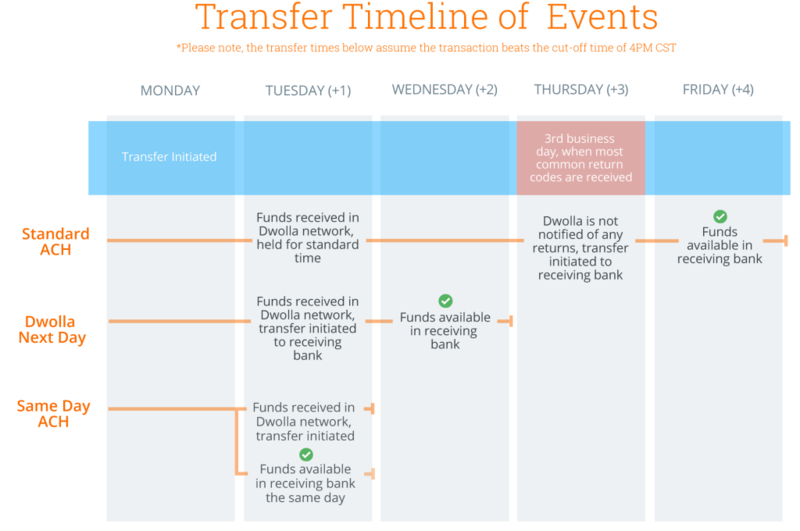 However, Dwolla provides a few ways to help mitigate this transfer time. Using either Next Day or Same Day ACH, your marketplace can deliver their payouts much more efficiently. See the image below for an understanding of transfer speeds. Equipped with Same Day ACH, learn how Dwolla helped this staffing marketplace reduce time to payouts. In addition to improving speed, another suggestion for upgrading payouts to your users is by enhancing flexibility. What does this mean exactly? Giving your users the opportunity to set their payment schedule is a good place to start. While the ideal situation may be to programmatically integrate same day payouts to your users, you could also look at allowing users to choose their preferred payment schedule from the various options you provide. The more flexibility you bake into the system, the better. The more flexibility in your payouts, the more your users will be able to plan and budget accordingly. When referring to the best fee structure, I’m talking about the fees you present to your providers on your platform. Whether you’re only passing off the payment cost to your users or you’re building your own facilitator fee on top of the transfer to grow revenue, there are ways to improve the way in which you present the fee while taking your respective slice. First, remember that your provider’s income is based on what they earn via your marketplace. Therefore, they need to know exactly how much is going to end up in their bank account. Be transparent with your providers, explain the fee, explain why you’re taking it, and be consistent. Also, if you find you need to raise your fee or cut of the transaction, give some clear, advance notice. Long term, this is in your best interest. You can’t afford to lose the trust of your providers—especially with the number of competitors entering the field. Now that you’re aware of some of the needs and expectations for payouts to providers in a marketplace, it’s equally important to find a payments partner that understands those needs. That’s where Dwolla comes into play—an ACH-optimized API that is white-labeled by design. For more: read why your marketplace needs to rethink payouts. Dwolla offers both Next Day and Same Day transfers. Additionally, the RESTful API is flexible enough to automate and accommodate most ACH payouts scenarios. Finally, with the Facilitator Fee, you can programmatically take a cut of the transaction with various customization. If you’re interested in staying competitive and improving your marketplace payouts, read a case study or reach out to our sales team.